Who doesn’t like a beautiful panorama shot? That’s why people stop along the highway to snap beautiful pictures of the scenery. Every respectable skyscraper has a panorama restaurant or viewing platform at the top. Apartments and penthouses with beautiful panorama views are the most prestigious and expensive kinds of real estate. People just can’t live without panoramas. As much as we love enjoying a beautiful view, it’s almost impossible to capture it with a regular camera. The physics of a regular camera lens are not designed to get the full scope of the panorama, leaving you with just a small section of the big picture. Now instead of investing in an expensive wide-angle lens extension, you can create stunning panorama pictures with your Android phone. Photaf 3D Panorama Pro helps capture those unique panorama moment. Find out exactly how in our test report. The app with the mundane name Photaf 3D Panorama Pro can turn your phone into a 360 degree camera. 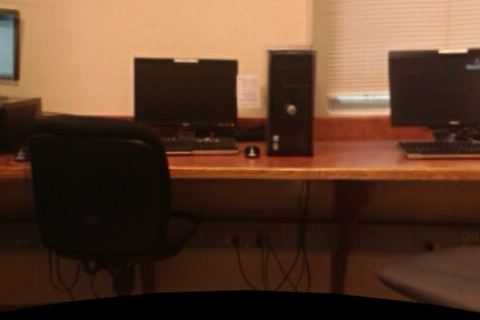 Pictures taken with Photaf 3D Panorama Pro can be moved left to right with your finger. This gives you the impression of seeing things as if you’re actually in the middle of the action. It’s more than just taking a picture – it’s like you’re experiencing your surroundings in 3D. The panorama is made up several consecutive pictures taken by your Android phone. Photaf 3D Panorama Pro helps you position each frame just right in order to create seamless transitions between them. A small arrow on the display shows you which direction to move your camera in order to complete a full 360-degree view. As soon as the camera is properly aligned, Photaf 3D automatically snaps a pictures. Continue in the same manner until you have enough pictures to put together a complete panorama (usually around 9 to 12 photos). There are multiple ways to view a panorama picture. You can either move across the image with your finger or you use compass mode. Here your virtual image aligns with the real world to give you a very realistic feeling. It basically synchronizes your panorama with your surroundings. I think this mode is particularly useful for seeing what’s changed in a landscape over time. Feel like sharing your 3D picture with others? With just one click you can upload your panorama to the Photoaf website. From there you can share it via Facebook or upload it to your own website using the HTML code. It goes without saying that you can send your picture as a .jpg. Unfortunately, it won’t be possible scroll through the picture because it will just save it as a really long picture. It may look all right, but it loses some of its charm. Photaf 3D Panorama Pro is definitely not an app that I would use on a daily basis. But it’s still worth the money for people looking to capture beautiful landscapes and views without losing all the scope and details. Honestly, the app kind of sucked me in – and not just because of the 3D special effects. Taking panorama shots is just a fun and creative way to photograph. Let some friends play around with this app – and trust me – they are not going to want to let go of it. 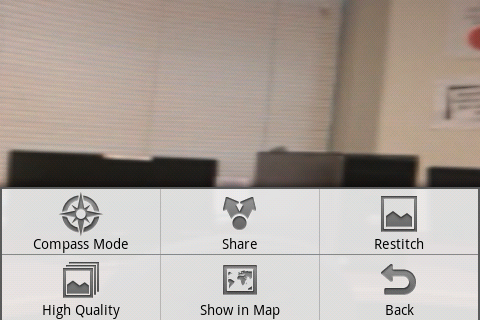 Photaf 3D Panorama Pro is really easy to use thanks to its integrated arrow and automatic picture taking. The main menu is clearly laid out with quick access to all your main options and functions. It is recommended to turn auto-focus on in the settings. It may take a little longer for the app to focus on its own, but it drastically improves the picture quality. Move your phone smoothly and slowly until you hear the peep sound. Try to hold the phone as still as you can until the picture has been taken. Try not to take pictures of moving objects, especially where the pictures merge together. Make sure that the lighting conditions are the same in all the pictures. Don’t take pictures of the sun (no duh!). Rotate the camera lens and not your whole body. Try to think of yourself as a camera sitting on a tripod. By the way, all pictures are taken in landscape mode. Photaf 3D Panorama Pro runs very smoothly and without any crashes. Merging all the pictures together may take a little while (between 30-60 seconds). The app takes up 10MB after installation, but it’s not a problem thanks to App2SD. At a price of 3,36 EUR, Photaf 3D Panorama Pro is great value for your money. The app can be purchased from the AndroidPIT App Center.